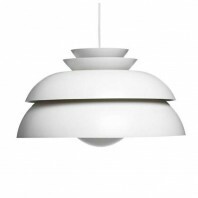 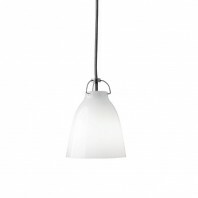 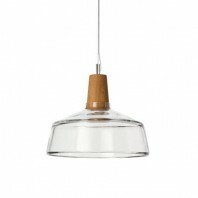 Designed by reusing construction elements, the Eno Studio Bridget is a contemporary pendant, ideal for illuminating your modern kitchen, entry or living room. 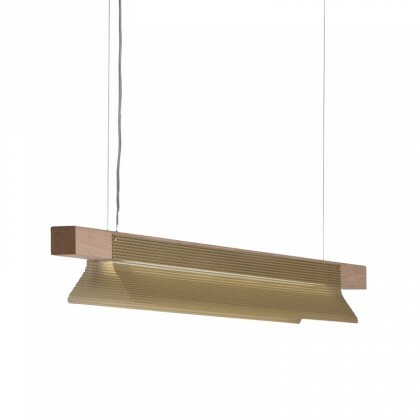 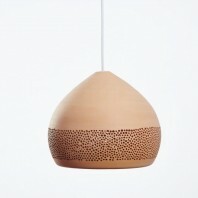 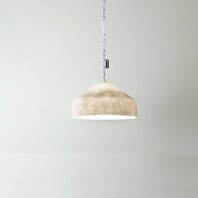 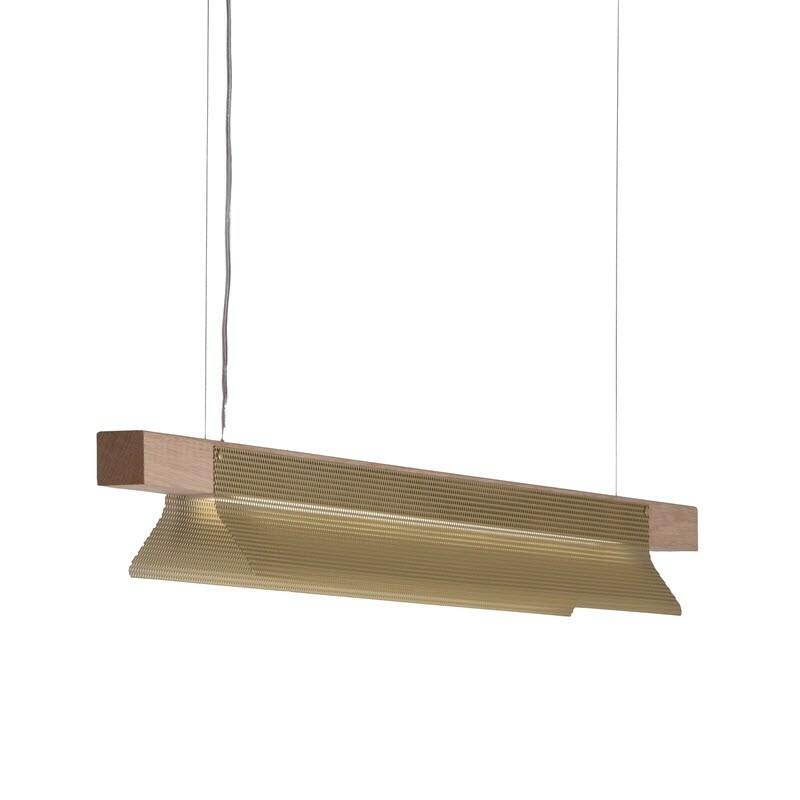 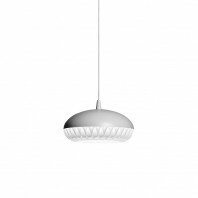 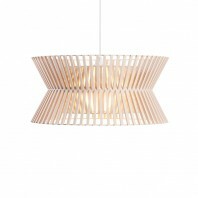 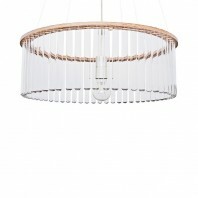 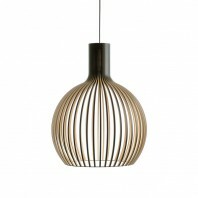 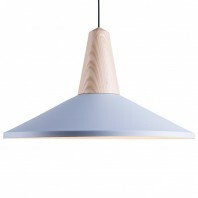 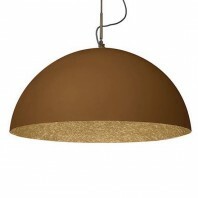 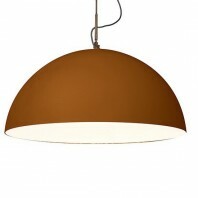 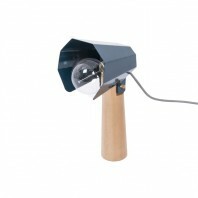 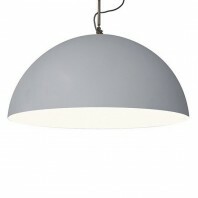 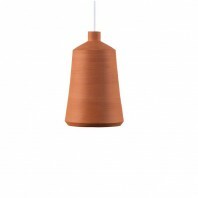 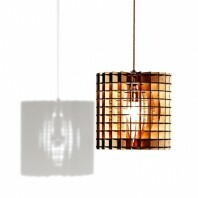 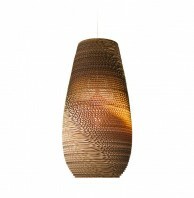 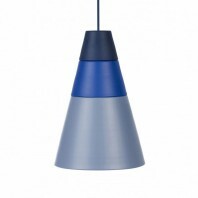 Composed of a solid oak bracket and perforated sheets, the pendant provides a beautiful industrial style light. 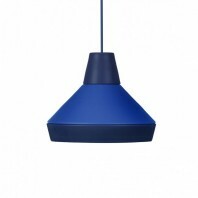 Environment friendly, the Eno Studio Bridget combines coloured natural wood with painted and perforated metal. 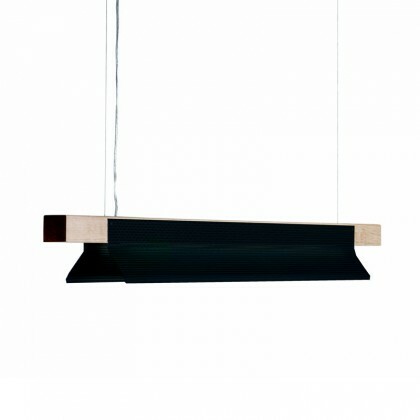 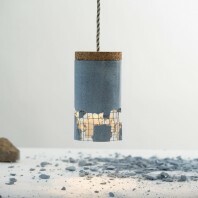 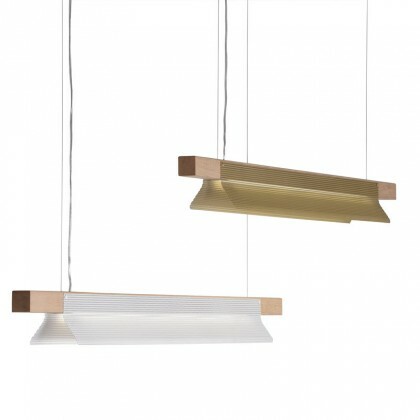 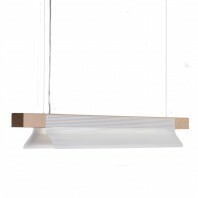 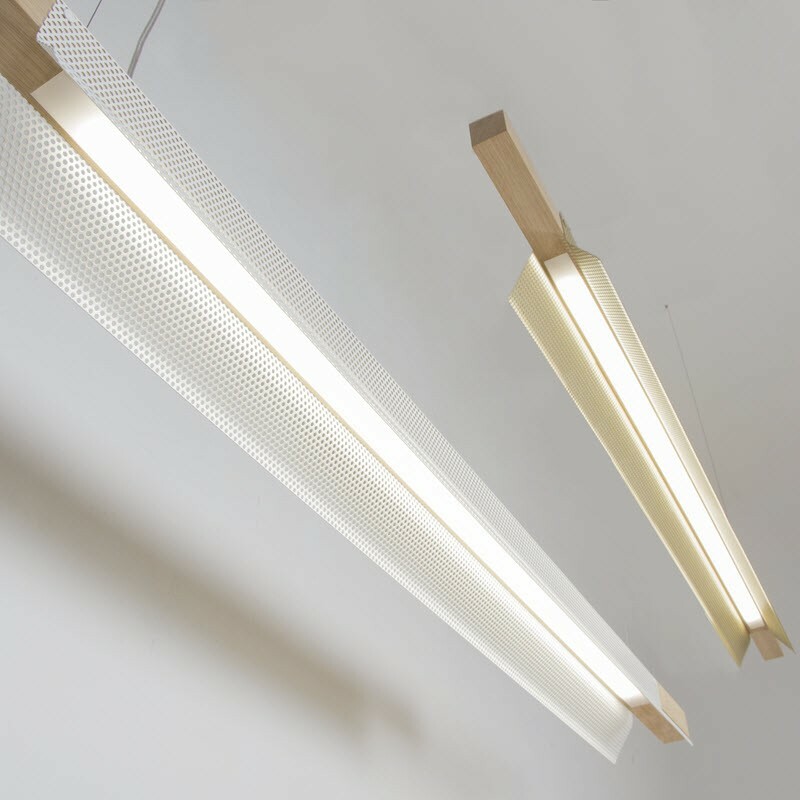 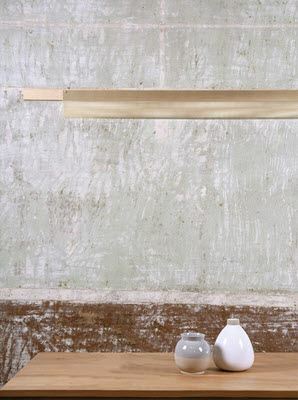 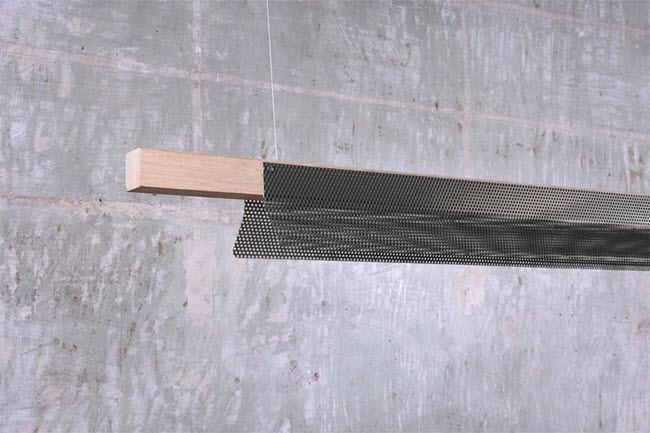 The suspension consists of a rectangular structure made of oak wood, decorated with two micro perforated coloured headlights and equipped with a lampshade in three different variations. 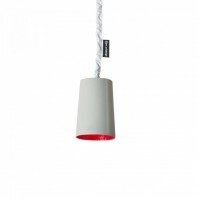 The shade is held by two retaining cables. 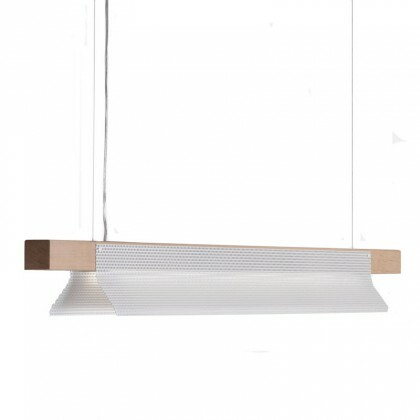 Designers had a challenge to define an aesthetic object and especially to choose the nature of the optimal light source. 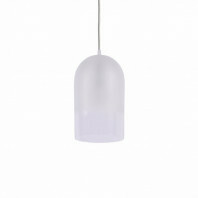 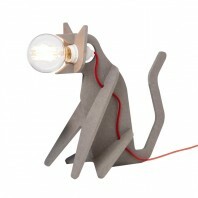 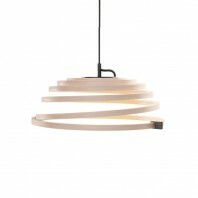 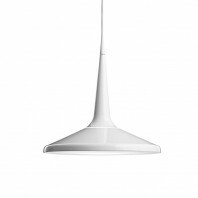 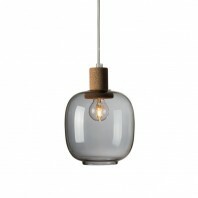 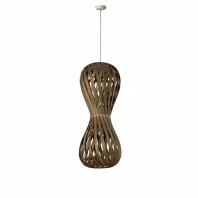 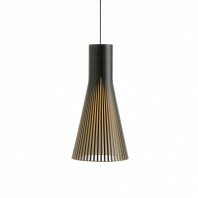 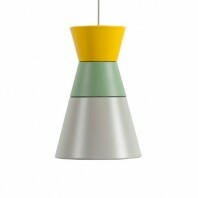 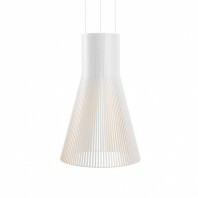 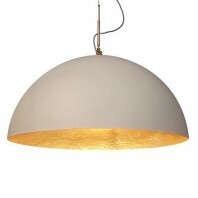 As the result, the pendant’s length is 160 cm and height 13 cm, with provided 2 m long cable and LED neon bulb. 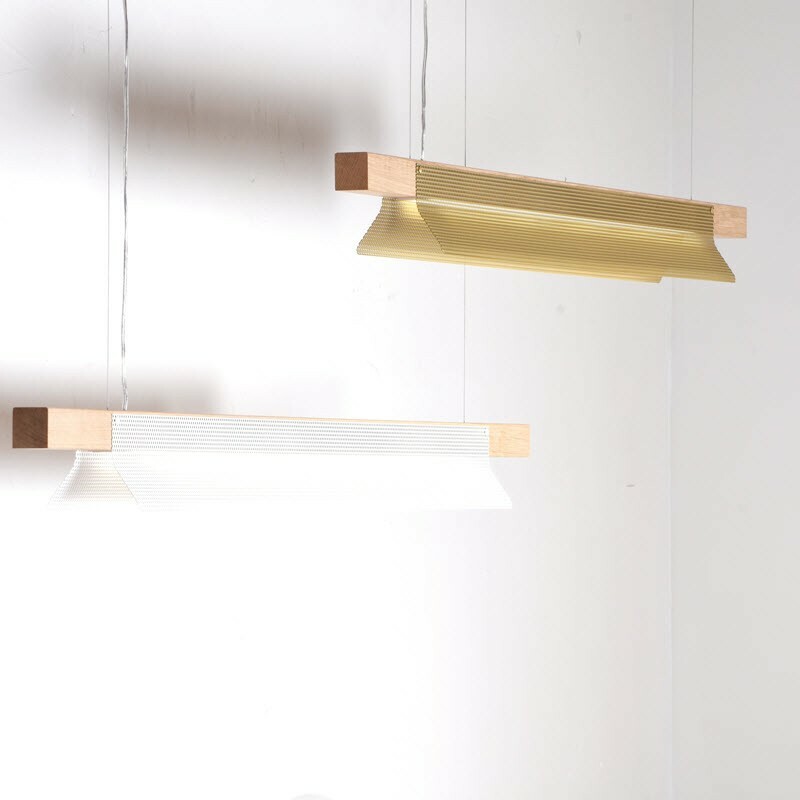 The lamp is available in three basic colours (White, Anthracite Black and Golden), so you can use it in a wider range of spaces. 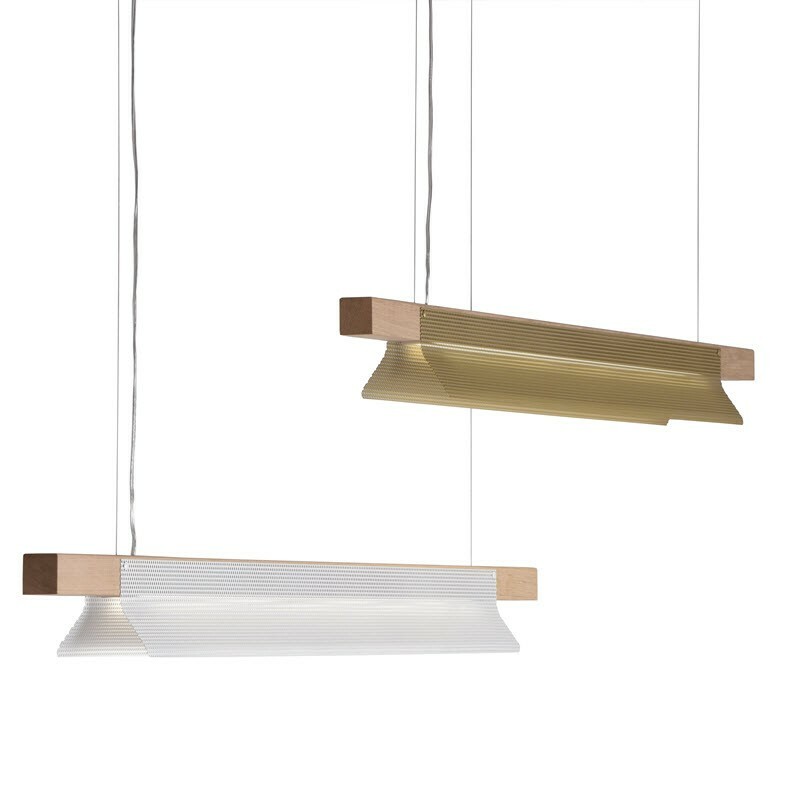 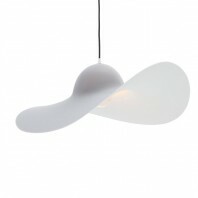 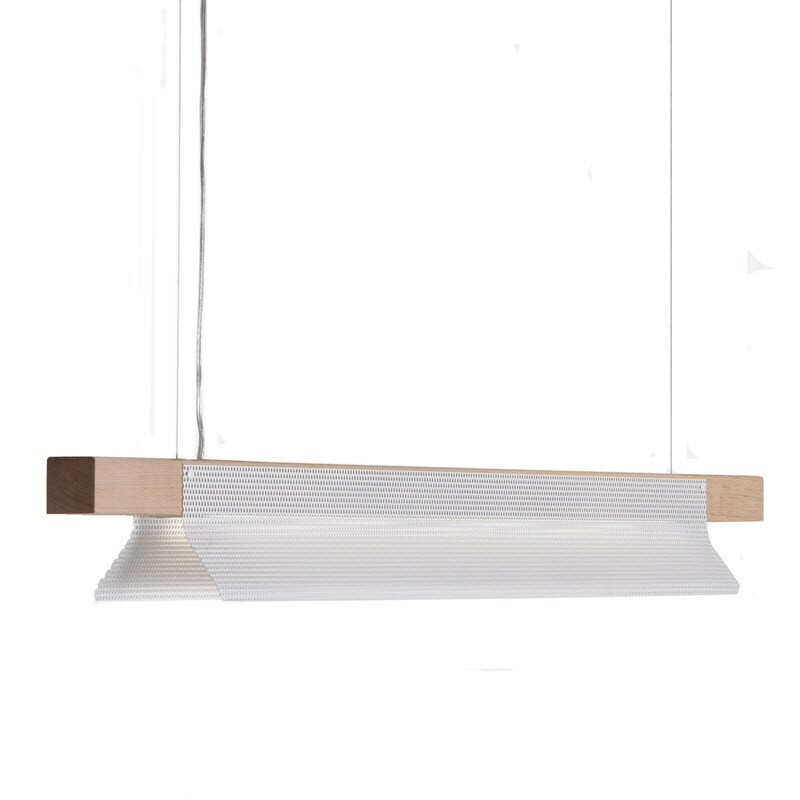 Formed by a perfect combination of two different materials, the pendant has almost translucent appearance that provides the scattering of light with beautiful lighting effects. 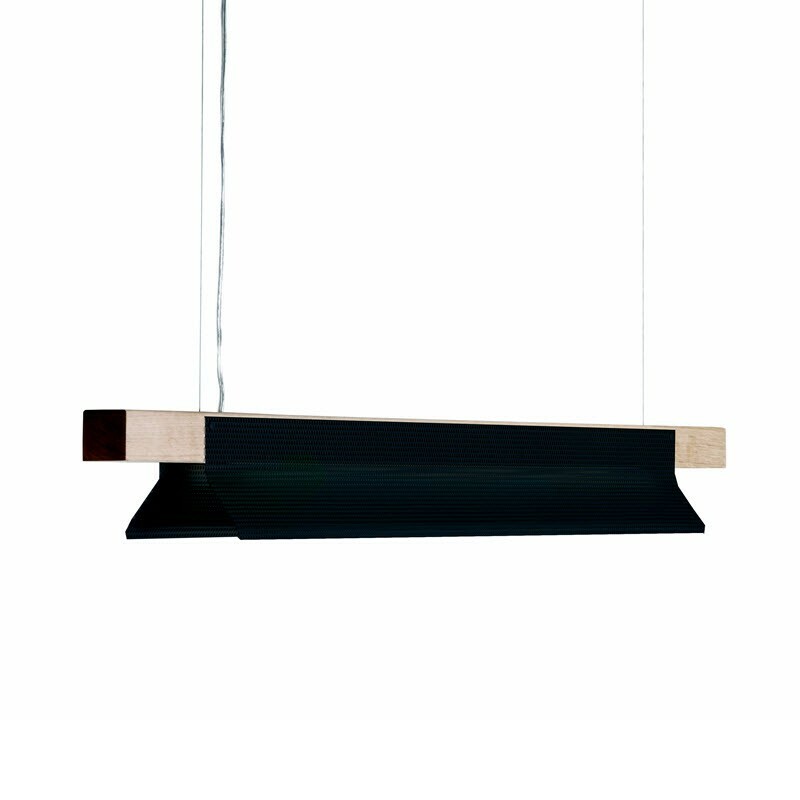 The Eno Studio Bridget is a brilliant concept that will benefit the greatest number of spaces where the contemporary design means everything.